Yippee! This is month 6 already! 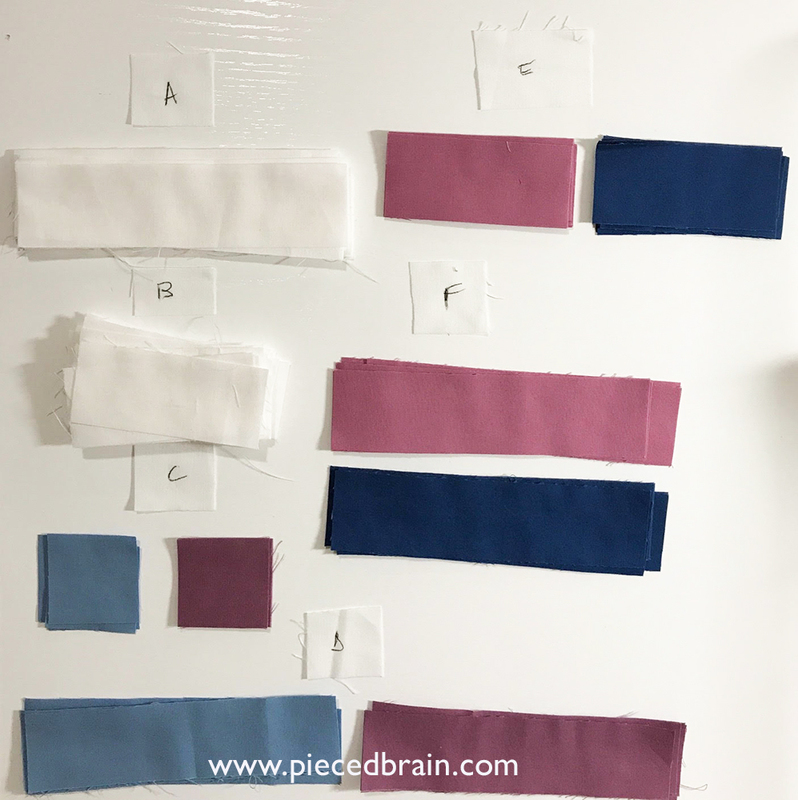 Fat Quarter Shop is hosting this Sew Along and I am having a ball. How are your Bella Skill Builder blocks coming along? 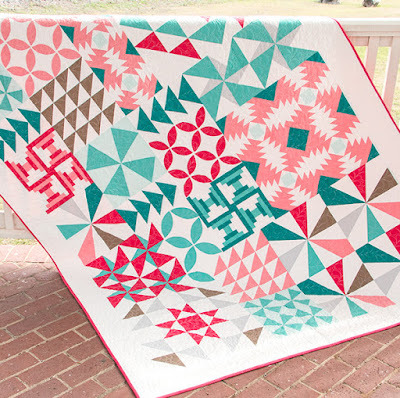 I keep the photo of the completed quilt near me so I can envision where the blocks I am making will fit in the design. Oh, this picture is too dark but my eyes weren't any help as I was trying to fix it. Here are my strips and squares all ready to be turned into the Courthouse Steps blocks. 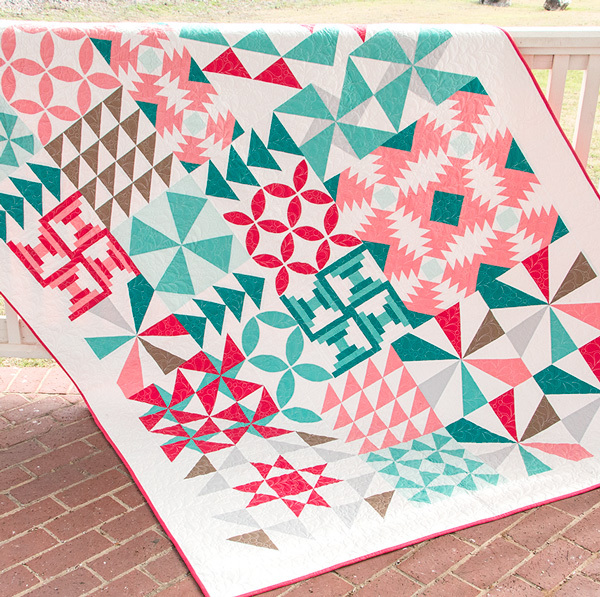 This month we are playing with the Creative Grid 6" Log Cabin Trim Tool. It is so fun! 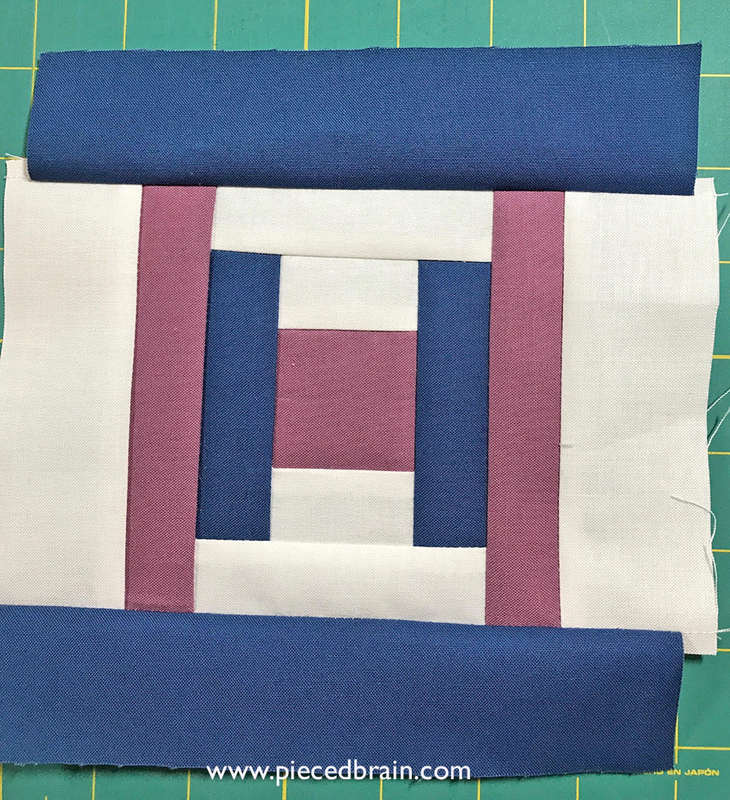 The whole time I was thinking I could go to my scrap drawer, start with a square, then add strips I have from previous projects and turn them into cool scrappy blocks. 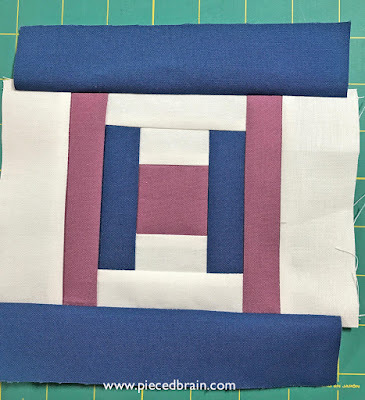 I would not even have to cut the strips ahead of time as the Trim Tool would trim each round to size. Oops! I got distracted and stitched the last round of this block wrong. Oh, well; at least this was the only ugly duckling. Here are the first four blocks, stitched together two-by-two. 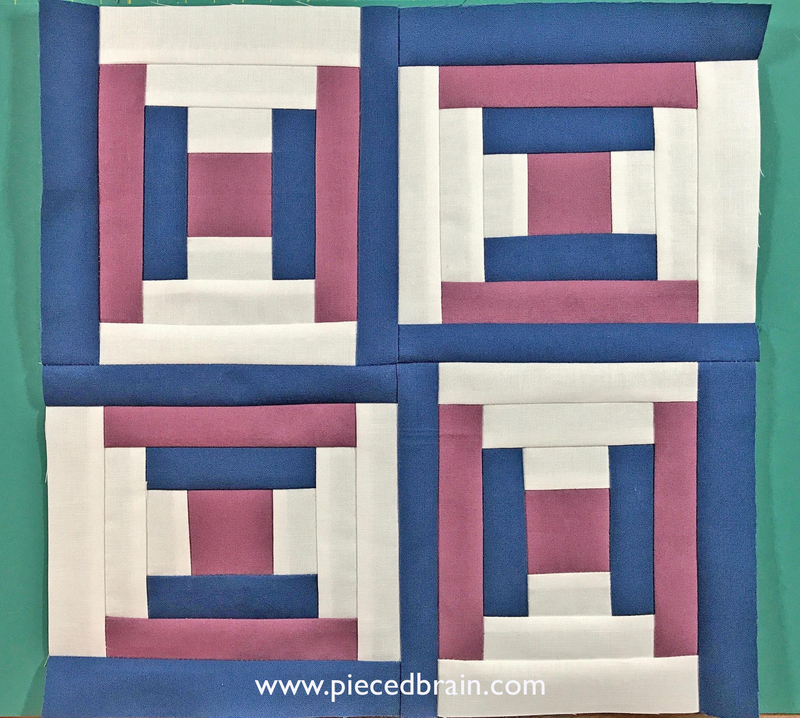 Here is the large block, made up of four darker color blocks. What an easy way to the Courthouse steps! 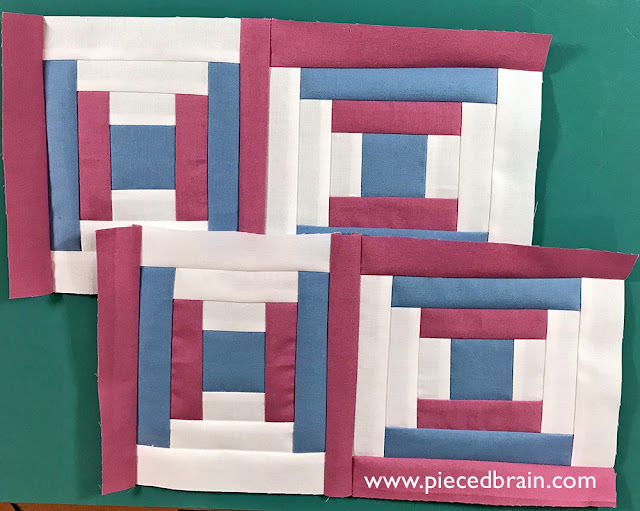 Head over to Fat Quarter Shop's blog to see how the blocks made by my fellow bloggers turned out. That is where I am going next. Thank you! I think the final quilt will look awesome!